The BBC forecasts daily bouts of thick mist descending upon much of central England. 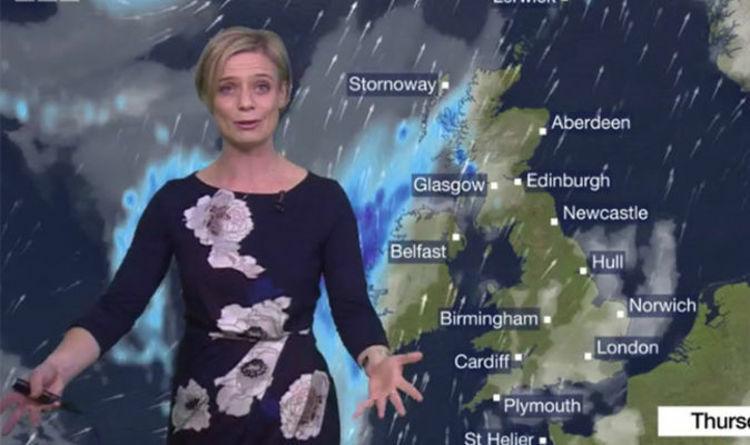 Meteorologist Sarah Keith-Lucas said we can expect “a largely dry settled theme to the weather over the next few days.” She said: “as we head through the day on Thursday things will stay mostly mild and dry but there will be more cloud than we’ve had over recent days. “Much of the UK is under the influence of a big area of high pressure sitting across continental Europe. “For much of the country it is dry - there’s going to be quite a lot of mist, low cloud and fog, especially across central southern and eastern parts of England. The low visibilty could impact travel across the UK and lead to long, congested rush hour queues. This will be combined with an unseasonal scorch as temperatures frequently rocket into the high teens - a staggering result for mid-November. Temperatures look set to plunge towards the end of the month, when a snow-wall could hit the eastern parts of the UK, including London. This would mark a return of the Beast from the East, which hit Britain earlier this year. The forecast read: “Showers may affect eastern and some central areas, and these could turn wintry over hills. It will be cold, especially in the south, with this accentuated by the brisk wind. “Night frosts are likely and could become widespread at times. Although many places should stay dry, some showers or even longer spells of rain could affect some southern and central areas, perhaps with hill snow. “Similar conditions will probably continue into the following weekend and the last week of November although it could become more unsettled from the west or south.